Hi John, I enjoyed your review too – it’s always nice when someone else blogs a book you’ve enjoyed and brings back the pleasure of reading it. I’m certainly looking forward to her next one! I haven’t read this yet so will save reading your review properly until then. I see her regularly haunting the corridors of the National Library of Australia – researching her next book presumably. LOL. Actually she’s speaking at a weekend in early April that I’m thinking of booking to go to. She might spill the beans then! I really enjoyed this review. I read The Secret River last year and quite enjoyed it, although I thought that it might have worked a bit better if it was either a little bit longer and or a little bit shorter. I have heard great thigns about this book too, but given my feelings about The Secret River I have never rushed to read it, probably to my own detriment. 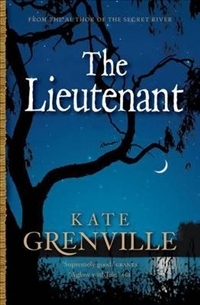 Grenville is a very interesting lady though, and I do hope to read a lot more of her books. I enjoyed reading your review of this book that I loved so much. So nice to revisit the appealing William Dawes, in the character of Daniel Rooke and think again about the dilemmas he faced and choices he made. It is a wonderful story and its connection with history makes my hair stand on end. I’m overjoyed to hear she is writing a third and am envious of Whispering’s proximity to her in the National Library. Ok, maybe I’m a groupie in this case. Thanks for posting Charlotte. You’re not alone in wondering what the next one might be about!